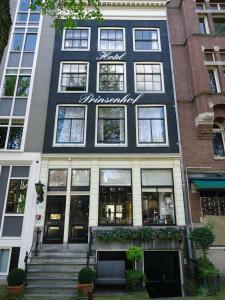 Given its reputation as a party capital, a number of budget hotels and hostels in Amsterdam cater to party guests as well as pot smokers, while others have strict no-drugs policies - ask when you make your reservation. 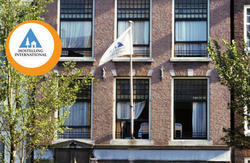 Hostels are popular in Amsterdam; The Netherlands' youth hostel association goes by the name Stayokay and is affiliated with Hostelling International. 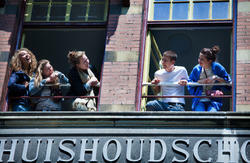 Other than hostels, lodgings in the lowest price bracket are thin on the ground. The better options tend to be spick and span with furnishings that are, at best, cheap and cheerful. Rates often include breakfast. As with all Amsterdam accommodation, rates and crowds peak in summer, Christmas/New Year and Easter and on weekends at any time of year. Book well in advance if you’re travelling then. Wi-fi is nearly universal, but air-conditioning and lifts are not. These are our picks for Amsterdam's best bargain beds. 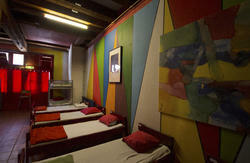 Our hostel is beautifully decorated and is located in the center of Amsterdam. It's a safe and drug-free place with free Wi-Fi and friendly people.